Facebook is the go-to advertising platform of big marketers for a few reasons. Ad approval is FAST when you’re following their rules. Other platforms may take up to a day to approve your ad. Usually ads are approved within 15 minutes on Facebook. Audience targeting is simple and extensive– Depending on your criteria, it’s simple to create a targeted group of millions of people who share a common characteristic. Ad objectives make any goal achievable– whether you want more exposure in a market, video views, engagement on a post, fans of a page, or traffic to a site, there is a different ad type to optimize your ROI on each one. Ability to test small– You can get started for as little as $5. Ability to “go viral” easily– When your ads are relevant, engaging, and/or entertaining to the target audience, people will like, share, comment and tag their friends. This is how you can really leverage your advertising dollars! 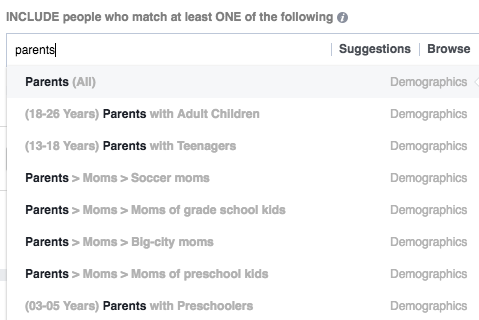 Let’s dive into the specific targeting categories so that you have an idea what a gold mine Facebook ads can be. We start with 192,000,000 people we can advertise to! Custom audience– this is where you can specify people who you’ve already connected with either through email or app use or they’ve visited sites you specify. Connection type– you can target people who are already connected as a fan, app user, or event attendee. This category is an AND criteria, not OR to the other criteria above. Delivery– standard spacing through the day or accelerated to deliver as soon as possible. 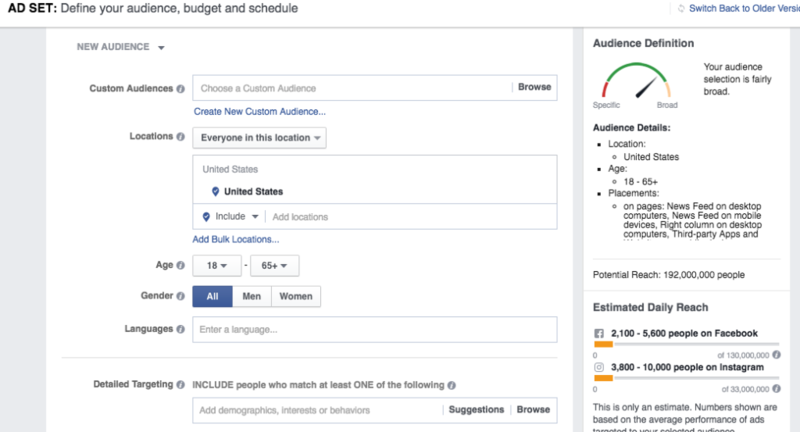 Running ads on Facebook will start giving you quick results to measure whether an ad campaign is working or not. You may want to start with a small budget and a relatively broad audience to see who starts responding to the ad. You’ll be able to see results broken down by most of the categories above. If you notice mostly women ages 35-45 are responding on their mobile devices, then make a new ad set for that specific audience and see how it performs. If there is a large enough pool to target, break out the age group into smaller increments to really narrow in on the best group of people. Be sure to test the ads themselves. You can run 3 ads to the same audience and see which one has a better response. Experiment with different images or videos, fonts, and post copy. Advertising is all about testing, tracking, and tweaking! The great thing is that Facebook gives you all the data you require to make good decisions about what to continue and which to stop. When you have a Facebook pixel, or lines of code, installed on your website, you can receive data in Facebook about how many clicks, adds to cart, and checkouts are taking place related to each audience and each ad. As you create audiences that respond well to your company’s ads, you can save those audiences to streamline the ad set up process. 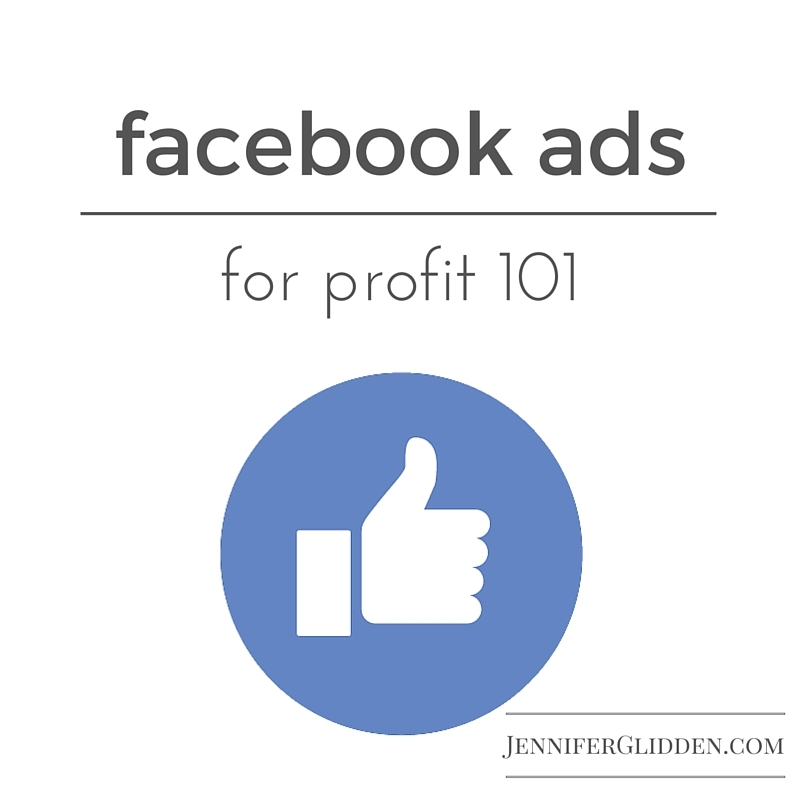 Facebook ads can create amazing results for your business as you manage and optimize them. If you’d like to talk more about setting up a campaign for your business, please contact me here. This is good for all marketers check it out.